Tucked in the corner of the Chinatown Shopping Center, Baguette House's sleek, Americanized interior might make you feel like you should get creative, but the move here is classic Vietnamese -- the House Special Combo loaded with head cheese, pate, and Vietnamese sliced ham results in a gelatinous texture that isn't for everyone, but the meek of palate can wash it down with a swig of Crazy Juice, a concoction of cherry, tapioca, and Jell-o. Just a few doors down from Baguette House is Lily's Sandwich, a smaller, much-less-Western sando outpost that is also a great place to buy 100 eggrolls (for only $75!). 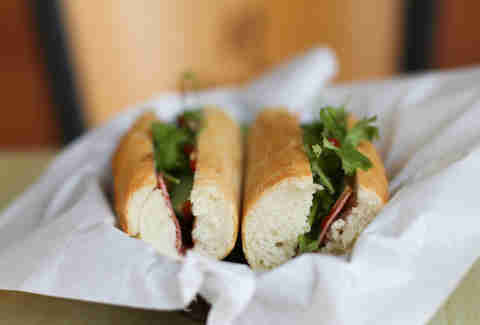 The served-warm bread is longer, skinnier, and has a satisfying crunch -- get it stuffed with grilled beef for a succulent contrast to Baguette House's pig-pen. Also: order five, and you'll get your sixth one free (saving a whopping $4!). Head a mile South on Lamar to the very friendly folks at Thanh Nhi (Vietnamese for... children bars? ), who've been slinging $3.85 hunger-busters for more than six years, including this bulbously bunned cold pork meatball. 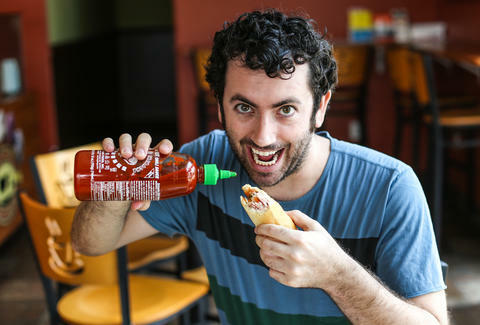 The reigning king of French bread, Tam Deli has collected many a "Best Of Austin" award for its fried garlic shrimp banh mi, served on the softest bread of the bunch. Before popping back on the highway, bear North on the access road to the other Asian center that boasts Pho Van. 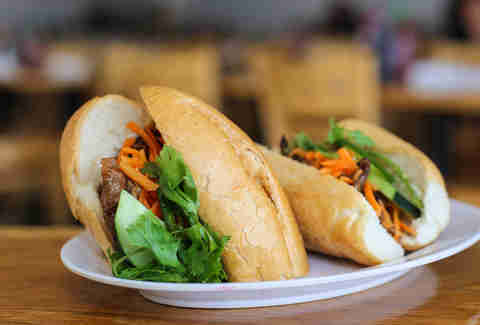 Although mostly a noodle house, PV's BBQ pork banh mi rivals Tam Deli for best on the block, thanks to the smoky BBQ pork and bread that's flakier than your friend with the really dry scalp.